Available in different shapes and designs. Logo/branding can be done on selected pens. 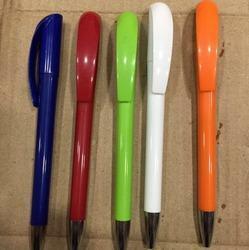 Backed by vast industrial practice, our firm is offering an extensive series of Printed Logo Pen. Moreover, we offer this product at nominal costs. Application: Used in corporates,Schools,Promotional purpose,Reward and Recognition,etc.